Clareview had its 5th annual dog show last month and we were delighted with the turnout once more. 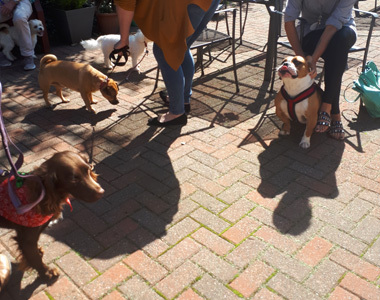 We had small dogs, big dogs, playful dogs, shy dogs and curly dogs…. 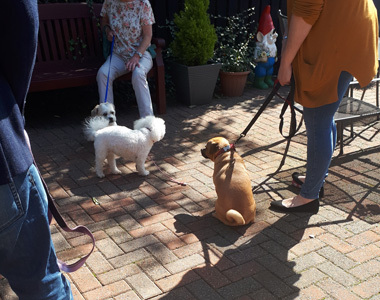 but all of our dogs were very well behaved and our residents loved them. 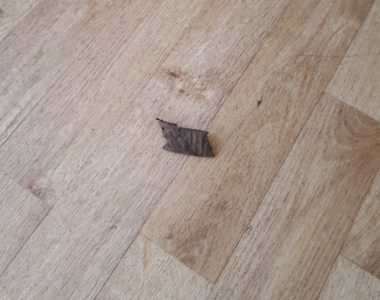 After an initial suspect item on the dining room floor, which thankfully turned out to be a leaf… the dogs were all announced one by one to trot around the lounge and perform their best tricks and party pieces. 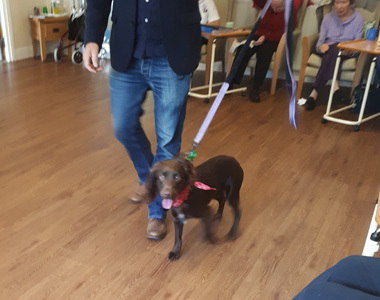 With certificates for categories such as Golden Oldie, Waggiest Tail, Wettest Nose, and many more, each dog left with a goodie bag and a certificate.